Friday, March 8th at 6 PM. 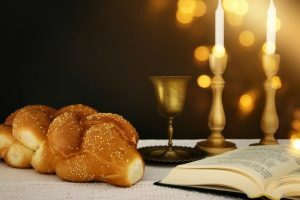 Join us for a special family Shabbat service and potluck dinner. Rabbi Alpert will share his personal Shabbat rituals including the practices, blessings, and songs that enrich his families’ Jewish life. Take a copy of the blessings home with you.